In order to ensure that pharmaceutical companies are going to get all the money they possibly can, the FDA has issued warning letters to three companies about selling “bogus” cures for Ebola. These letters single out two companies that sell essential oils “doTerra”, and “Young Living”, along with Natural Solutions Foundations. The FDA states that these companies were making claims that their products could either prevent or treat Ebola. The letters actually threaten these companies with criminal prosecution if they don’t answer the FDA within 15 days. They demand that these companies explain exactly how they intend to stop making such claims. From their website, it appears that Natural Solutions Foundation has removed any mention of Ebola from their product description. If you like, you can read these letters here on the FDA’s website. 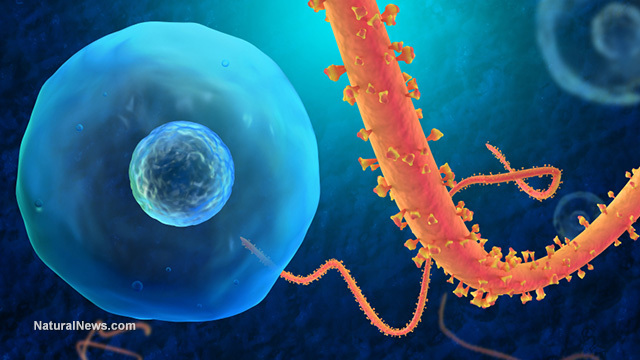 The FDA simply allowed the treatment of Ebola patients with a completely unproven, experimental drug called “ZMapp”, which is currently running about a 40 percent mortality rate in those tested. Why is OK to use an unproven pharmaceutical against Ebola but a natural remedy or unproven herb is illegal? Why is this double standard being allowed? Why didn’t the makers of ZMapp receive one of these warning letters? Oh, probably because they received a 42 million dollar grant instead. The FDA simply will not do any testing on either natural or alternative types of therapies (such as nano silver) to find out if they work or if they don’t work. Why? Because apparently the pharmaceutical companies don’t want you to find out that something natural might work because imagine, then, what might happen to their profits? This is all about the almighty dollar, friends. The US government owns the patent over Ebola. This means that when someone holds a patent on something, no one can conduct any type of scientific tests using Ebola without running into trouble because you would then be violating the patent law. In fact, even if a company were to try to obtain some Ebola samples on the sly, they would most likely be charged with bio-terrorism. The US government has created a perfect snare by both patenting this virus and listing it as a biological weapon. This keeps any and all research efforts strictly limited to companies that are approved by the Feds. This is also why you will never see any natural or alternative types of therapies tested; because there is no money to be made in them. It’s rather hypocritical of the FDA to openly allow billions of dollars’ worth of drugs to be prescribed every year for health problems they were never approved for, but then tell alternative therapy companies that they can’t prove that their products treat any type of illness, especially Ebola. It works this way; drug companies receive FDA approval to test a drug for a specific health condition. During tests, the drug companies might find that, for example, in addition to reducing a person’s urge to smoke, which was their original intention, they also find that people in these studies lose weight. The drug company will market their product as a smoking cessation aide, but they are sure to list in their pamphlets to doctors that the drug also made people lose weight. Now doctors will prescribe it for both health conditions, smoking cessation and weight loss, even though the FDA ONLY approved it for smoking cessation. This is called “off-label prescribing”, and it brings in untold millions of dollars every year. The FDA doesn’t even do its own testing! They allow the drug companies to conduct their own tests and simply submit their “data” to the FDA. This really is the fox guarding the henhouse here, now isn’t it? The FDA has never been able to show that nano silver or any other natural cure DOESN’T work to treat or prevent Ebola. Now we certainly don’t expect the FDA to test everything in sight, but when it comes to some of the more likely solutions, why don’t they conduct their own tests if they are truly interested in the health of the public? The truth is, since colloidal silver, or any other natural remedy for that matter, has been tested, how can they unequivocally state that Ebola is a ‘bogus’ cure? It might be unproven, but it isn’t “bogus” until it’s been tested and the results say that it is ineffective. There is no proof that nano silver can treat or prevent Ebola, but there is also no proof that ZMapp can prevent or treat Ebola either. Why is ZMapp enthusiastically approved but those selling colloidal silver get threatening letters? Apparently, when it comes to worldwide pandemics, science goes out the window! Everyone, from the FDA to the CDC, to mainstream media, assume that pharmaceutical drugs will work like a charm and everything else is “bogus”. There is no evidence to support that this is true, but everyone latches onto it like a dog with a bone. So far everything, and this means EVERYTHING, is unproven. There are no PROVEN cures, treatments, or prevention of this virus. This means that all compounds, whether they are natural or man-made, are to be considered experimental. Why is it, however, that drug companies get a smile and a nod when it comes to trying something but anything made by Mother Nature herself is too dangerous, or is completely useless, to even be considered and/or tested? This makes no sense whatsoever. Since there are NO proven treatments or preventative measures right now, why don’t we test everything? If scientists want to be taken seriously, why don’t they check out every possibility? Why are scientists and researchers strictly limiting their investigation to only synthetic chemicals? If the real truth was told, there is a partial cure for Ebola, right now, today! It’s in your own DNA. It’s called your immune system, and it works 50 percent of the time, which is a far better track record than ZMapp and its 40 percent success rate. Every single person who has survived this deadly virus has been saved by their own amazing immune system, and that, friends, is a FACT even the FDA cannot deny. They won’t tell you this, however, because they can’t sell it to you.